Kay Breakstone was the CEO of the company but sold it in September 2014. Now she is a senior advisor. She does Industrial Relations, Financials, Human Resources. She is a volunteer animal advocate and donates to ASPCA PETA and Humane Society. 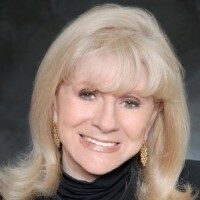 Kay was published in Ion Magazine 2010 as Best Investor Relations and is an Honorary Fellow with the NIRI. Kay loves to travel.